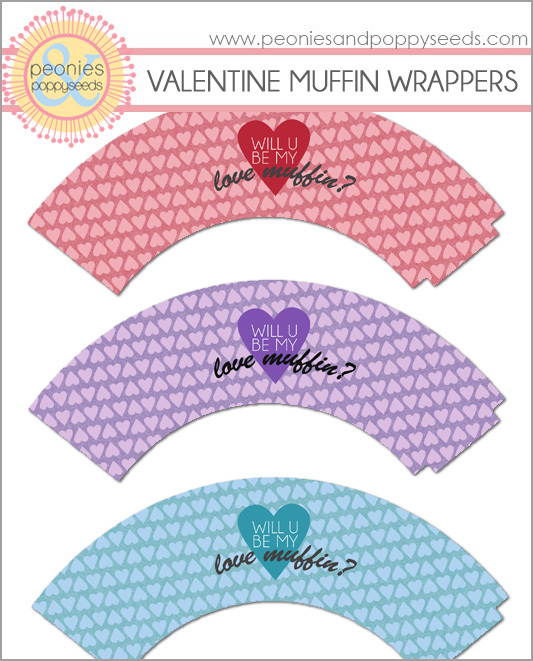 This printable can be used like cupcake wrappers, except with muffins. You get the wrapper in all 3 colors to print and use with any kind of muffin (as long as they're baked in a regular sized muffin tin). And then you can give them to your special Love Muffin for breakfast. Or lunch. Or, I guess, dinner. Or.....for a snack? Muffins are kind of good any time.